So what’s the difference between a freedom fence and a dog fence? So you’ve done a bit of googling and come across a few options for keeping your dog at home. An electronic dog fence, freedom fence or a containment fence. So where do you start. How do you know what the differences are if you don’t know how a freedom fence works? How does a freedom fence work? Well, they are all derived from the same principle. A radio transmitter is installed on the owners property and connected to a boundary wire that carries a radio signal. The signal has to start and finish at the transmitter. The pet wears a radio receiver which is programmed to pick up the radio signal. When the pet enters the signal area (“no go zone”) the receiver collar emits a warning beep, followed by a static impulse (static shock). With some training the pet quickly learns where the no go area is and stays within the boundary. The boundary should always be marked with training flags when the dog is in the training phase to give the dog a visual for the “no go zone”. 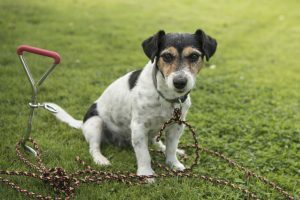 What are the differences between Freedom Fences and Dog Fences? A Freedom Fence is actually a product called PetSafe Professional; it uses a technology which is over 25 years old. All PetSafe systems use a digital AM radio frequency. Why is an old technology an issue? In simple terms the system will work but it could do better! 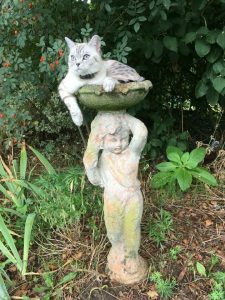 Dogs can cats are precious to owners and most want to ensure that they are using the latest and safest products available. Why is an AM fence inferior? The issue with the AM frequency is it is prone to false activation (house electronics other than the freedom fence system can activate the pet’s collar when they are not in the “no go area”). 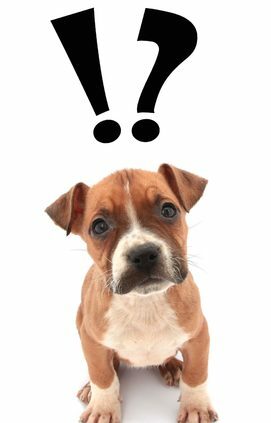 This is confusing for the pet as consistency is the key when it comes to electronic pet containment. In order to reduce the chances of a false activation the Freedom Fence collar checks for 2 x signals. Naturally, this slows the reaction time down on the collar. The Dog Fence system is another name for a DogWatch Hidden Fence. It uses a newer digital FM signal (DAB). The FM signal is more secure and cannot be activated by any other signal. It goes without saying that this guarantees the safety of the pet. The dog fence system only checks for one x signal. This makes the collar reaction time quicker – 15 times quicker! So when your dog is chasing a squirrel the dog fence is 15 times quicker at stopping him than the freedom fence system. What does reaction time mean? The reaction time is crucial for both the start up and shut down on the collar. For example if your dog was running at 10 mph with the Dog Fence system he would only get 0.125ft into the zone before the collar has activated. Whereas if the dog was wearing a freedom fence collar he could potentially go 7ft into the zone before activation. Conversely, if the dog makes the right decision and retreats back into the garden the shut down on the collar is virtually instant (less than a second) for the Dog Fence whereas it will be between 2 – 5 seconds for the freedom fence collar. This is called response hang on time. It is important that the dog is not “corrected” when they are in the safe zone – the safe zone should be safe. 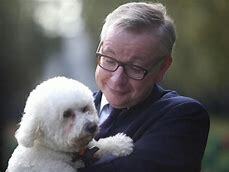 This could be the difference between the dog staying in or running out. Lightning strikes/electrical surges – Transmitter not warranted if lightning or power surge damage the transmitter. Dog chews – if the pet chews the receiver this is not covered by the warranty. Accidental damage – if the dog damages the receiver this is not covered by the warranty. Limited life warranty – 3 years. Lightning strikes & surges (surge box supplied as standard) – transmitter is fully covered even with the surge fitted – repair or replacement sent. Dog chews – if the pet chews the receiver this is covered under the warranty – repair or replacement sent. Accidental damage – because dogs will be dogs so we expect our receivers to be tough and durable – repair or replacement sent. The freedom fence collars use 2 x 3.0 volt batteries which last approx 3 – 4 months in the collar. The Dog Fence system collars offer a choice of 2 x collars. Standard Collar – 1 x 3.6 volt battery every 18 – 24 months. If you have a very small dog or a cat then the Dog Fence system cannot be beaten on either weight or size. Our mini receiver collars are the smallest available worldwide and weigh in at only 30g even with the battery fitted. Our standard collar weighs in at only 48g which compares to 54g on the Freedom Fence model. The boundary wire is important with all containment fences as this is the part that conducts the radio signal. The quality of your boundary wire will depend on which PetSafe system you purchase. As a general rule the Freedom Fence systems are supplied with a 1.5mm wire. The dog fence systems offer 2 grades of wire either 2.5mm as the heavy grade or 4mm as the premium grade wire. As the wire is buried in the ground the heavier the wire the more durable and less likely the cable is to be damaged. Both Freedom Fence and Dog Fence offer professional installation, however, there is a difference to the level of service offered by each Company due to the employment status of the staff. Dog Fence staff – all trained and employed by Dog Fence – every installer has fully equipped van inc cable burial trencher and wire detection system. – All staff IACP approved. 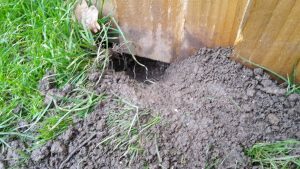 Dog Fence also have a dedicated cat fence team – www.catfence.co.uk as the training for cats is very different to dogs. Freedom Fence Staff – trained by Freedom fence but working on a sub-contract basis – not full time employment. Only some installers have trenching equipment. From November 2018 Dog Fence will be the first UK Company to offer a two-way communication on a containment system. Our new smart fence will feed information back to a base station via an app. 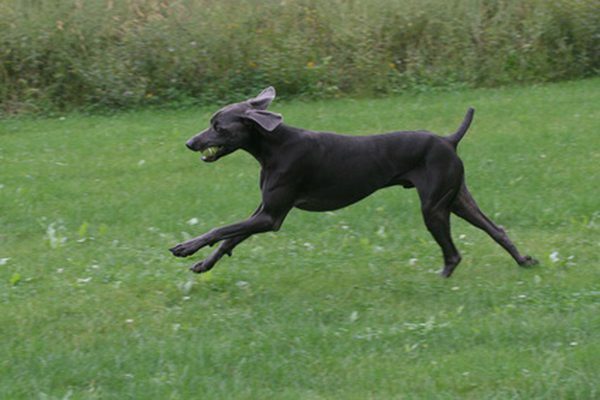 You will be able to monitor your dog’s movements as well as the technical info for the system. Learn more here…. What is a freedom fence or Invisible fence? So what is a freedom dog fence? it’s actually is a generic name for an electronic dog fence. Very similar to a “hoover”, a freedom fence, invisible fence or DogFence are often used to describe the containment fences. These dog fences were first produced in the USA over 40 years ago. Electronic pet containment systems originated in the year 1973. The overall concept began due to humanitarian emotion from American Richard Peck. 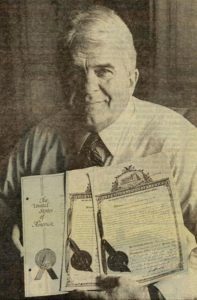 Peck was a salesman in Pennsylvania selling his company’s metal cutting and welding services. In 1973, Peck partnered with an electronic engineer and patented the first electronic dog fence system. The collar was placed on a pet and received radio waves from a wire buried beneath the ground. The radio waves were transmitted through the wire from a transmitter protected inside the house. When the radio waves are received by the collar, it sends a brief uncomfortable static shock under the pet’s skin. The “shock” deters the pet from traveling farther into a designated zone. In todays’ world date the word “shock” should be replaced by stimulation as the impulse produced is incredibly low and incapable of inducing a state of shock. 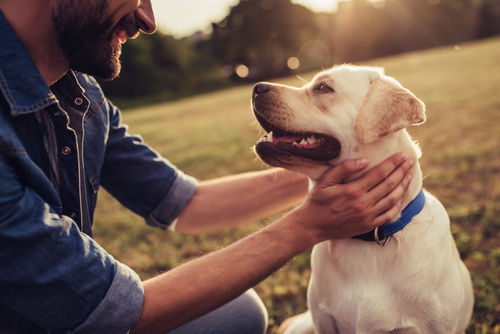 Always concerned for dog safety, Peck worked with the University Of Pennsylvania School Of Veterinary Medicine. Together they conducted extensive research on the short-and long-term effects the new system would have on animals. The study proved it was extremely effective for influencing behavior of animals and keeping them contained in a specified area. Furthermore, the study proved that pets that were contained by a freedom dog fence had no long-term ill effects from the stimulation. The late 1970s in the USA there was a rise in the popularity of housing estates forbidding traditional fencing. This made it almost impossible to have a large dog. Naturally with the new “invisible fence systems” quickly became popular. Peck initially sold the systems through catalogs and direct mail. The growth of the company was very slow. There were only 50 systems sold the first year. The fences were promoted by two nationally distributed dog magazines, Dogs and Dog Fancy. Peck retired in the early 1980s and sold his company to private entrepreneurs outside of Philadelphia. These entrepreneurs invested in product improvements and named the product “Invisible Fence.” The engineering staff began refining the technology of the existing product. The company began selling a compact, lighter version of the receiver collar that went from 13 ounces down to 3 ounces. Thus the market was opened so that smaller dogs and cats could utilize the Invisible Fence solution. In 1990, the overall patent for the technology expired and other companies to began to appear. This led to the rise in other manufacturers, PetSafe, DogWatch, and Innotek. These Companies have produced their own version of the original invisible fence. The early systems were not available for self-installation and Freedom Fence Dealers were part of the PetSafe network that started offering installation across the USA. Dog Fence, Invisible Fence and Freedom Fence dealers started to import the technology into Europe and Australia. These markets were mainly self-installation markets and over time some dealerships started to offer a limited installation service through agents and part-time sub-contractors. The original Invisible Fence UK Dealer has recently retired after selling both Invisible Fence and Innotek systems for over 25 years. Most of the Invisible dog fences were sold for self-installation. This business model is slightly different and is made up of a large number of representatives who work on a sub-contract basis. These individuals will install the PetSafe and PetSafe Professional brand of dog fence. PetSafe fences use the same AM technology that was used to produce the original Invisible Fence systems. As these are part time representatives they do not all offer the same level of service. DogFence Ltd were the first Company to offer complete onsite Professional Installation & Training for dogs and cats. 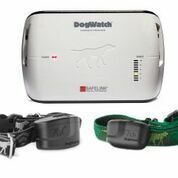 This Company uses the DogWatch brand of hidden fence which was developed using an FM radio frequency. When it comes to technology the FM signal is far safer and faster than the AM operated fences. DogFence Ltd pioneered bringing the full installation & training service to the UK. Unlike Freedom Fence the installers are all employed by DogFence. This gives consistency in quality of service and equipment standards. Arguably most peoples pets are part of their family, they are as important as children or siblings. Naturally one wants to do everything they can to protect them which is why they install a dog fence. As with your car it is important to look at safety features within each product. The Original Invisible Fence used an AM radio signal. This was mirrored by all manufacturers except DogWatch (DogFence). 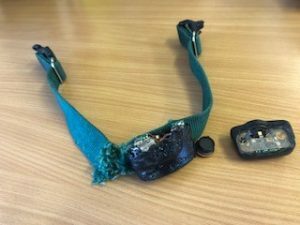 DogWatch inc were concerned about the high numbers of false activation on the receiver collars with AM. The dog may not be in the zone but the collar was activated because the collar picked up a similar signal. It is for this reason that they decided to explore using an FM signal. After developing and patenting the FM signal it quickly became clear that this was a far superior channel. Why is the FM signal safer? The reason for the FM signal is to ensure that nothing else can activate the dog or cats computer collar. The Freedom Fence and Invisible Fence brands use OOK (on/off keying). With OOK the collar is open to picking up other signals when it is in the “down” time. This means that the collar can activate when the pet is not in the “no go zone” as it has “heard” another signal. With the DogFence system the signal is constant and the collar can only read the programmed signal. In order to reduce case of false activation freedom fence and invisible fence systems use a 2nd signal to reduce confusion. Naturally checking for 2 signals slows down the reaction time on the collar. 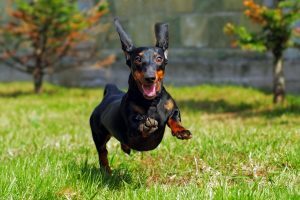 Why does speed affect the dog fence? 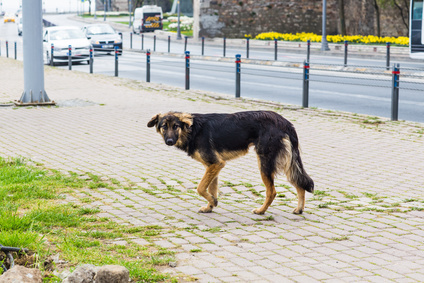 Put simply if your dog is racing towards the no go zone the collar needs to stop him before he runs into the road. With the DogFence system if he runs at 10mph he will only get 0.125ft into the zone before the collar has given a warning beep and impulse. With a freedom fence he will be at 7ft before the collar has activated. Conversely many people never consider the shut down time on the fence. What happens if the dog retreats? How quickly will the collar stop? Again, speed is crucial the start up and the shut down times are equal. If your dog retreats the FM fences will shut down in less than 1 second. With the PetSafe, Invisible Fence and Freedom Fences AM brands the time is 2 – 5 seconds. Food for thought! 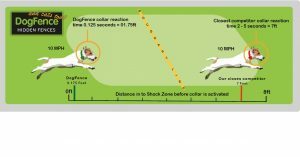 Collar reaction times for DogFence and Freedom Fence. DogFence is 15 times quicker! If you would like to obtain more information on our containment fences call us (01628) 476475 or click here.